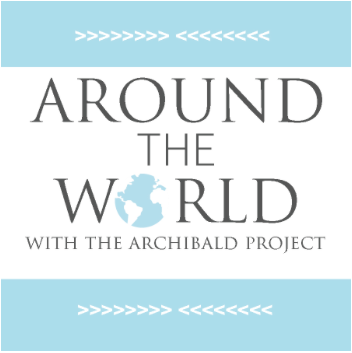 Welcome back to Around the World with The Archibald Project! Today we are so excited to kick off National Adoption Month by bringing you a podcast with our namesake's mama, Lisa Eicher! You see, we traveled with the Joey Eicher to Bulgaria in 2011 and documented the adoption of Archie, who was 7 at the time. We returned home, put the photos on Facebook and went about our lives. A few weeks later a stranger messaged us and said that because of our photos of Archie's adoption they found their son and were now adopting a chronically ill child from Ukraine!!! And that's when we discovered the power of storytelling to help vulnerable children! Lisa opens up about the hardships of bonding with her older daughter and how the loving emotions didn't just happen automatically and you guys she gives great advice if you're experiencing this in your own adoption! This is definitely an interview you do not want to miss! If you have a movement would you head over to our iTunes page and write a quick review for us? Reviews help others out there find our podcast and we have heard from many of you that because of our podcast many of you have started the foster care process, adoption process or begun sponsoring children in group homes! So you see, people really do need to find our podcast as it is impacting children and families all over the world!